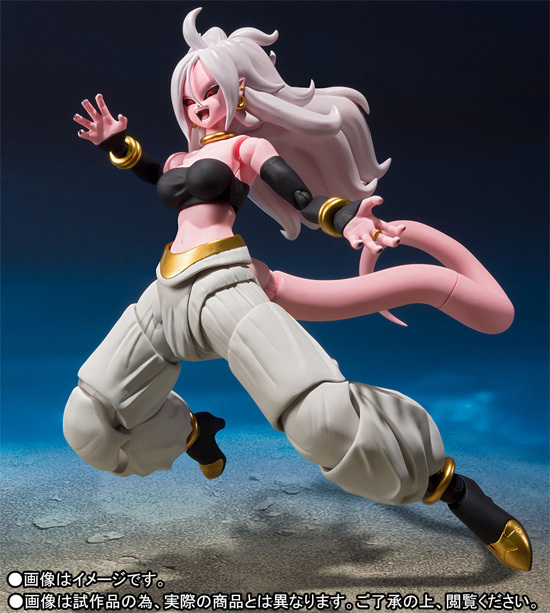 For those who played Dragonball Fighter Z, you would be interested to know Android 21 would be coming to S.H.Figuarts toy series in June 2019. 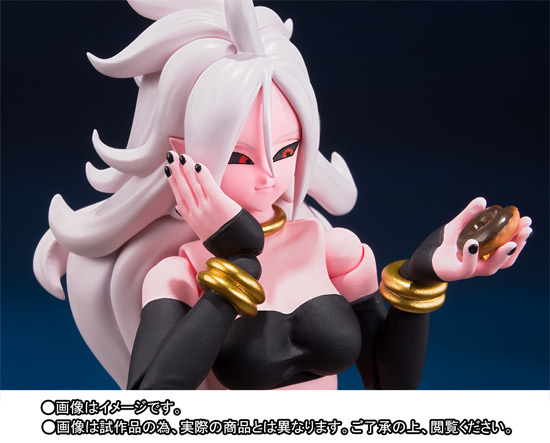 For those who do not know this Android 21, she only appear in the game and was a product of Frieza, Cell and Majin Buu. You can see much of her Majin Buu traits on her. Actually more of Evil Buu if you look at her eyes. She comes with 2 facial expressions with one open mouth. The figure also provide a good form of her as well. The only accessories she have is a donut that she fancy.